Princess Daphne & Kimberly 'the red head' ...the statues! 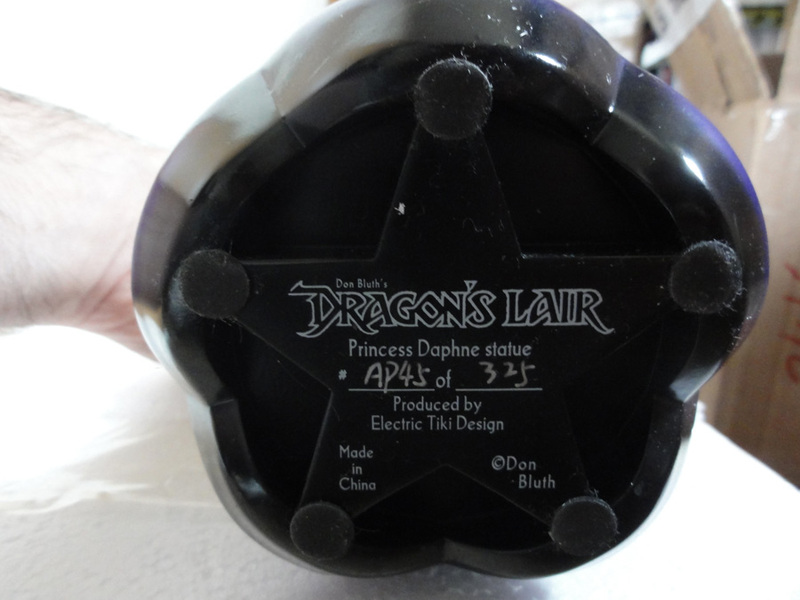 Dragon's Lair Fans - Arcade Lifestyle > General Chat > Dragon's Lair / Space Ace > Princess Daphne & Kimberly 'the red head' ...the statues! Re: Princess Daphne & Kimberly 'the read head' ...the statues! Pre-Orders now available for Daphne. Too much for me though. Unfortunately Im going to pass. Pre-Order now and we'll deliver in June 2011 (estimated date / subject to change). Thanks for the notification Brian. $185.01+ = 50% of the subtotal. $185.01+ = 75% of the subtotal. Found another place that is selling Daphne. It is 219 EUR. All the order details right here. ...but remember, only the 50 pieces for sale on electrictiki.com are the limited artist proof. Hi friends. I'am a french Dragon's Lair Fan and I want to order this wonderful statue on Electric Tiki website, but I read "items are only available to US residents". The item is available on ebay, but it's more expensive. 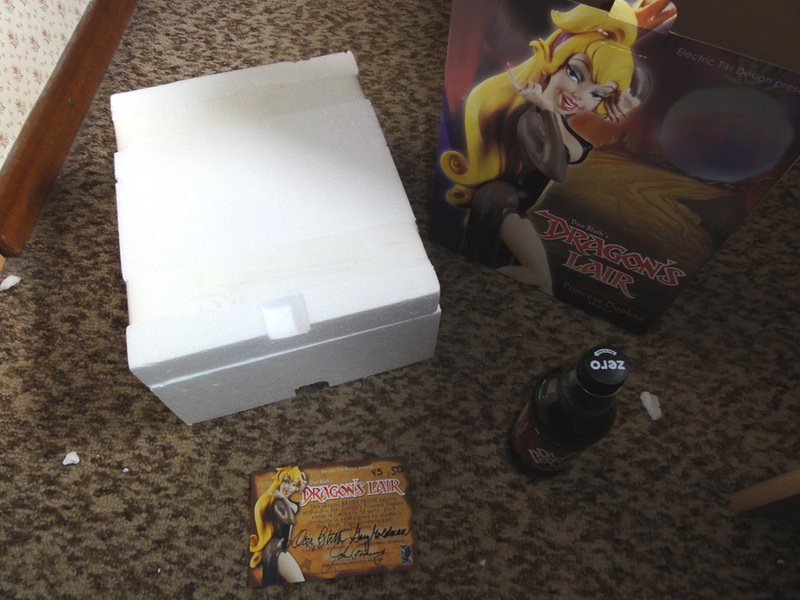 According to you, am I obliged to buy the item on ebay or could I find a legal way to buy it on Electric Tiki website? 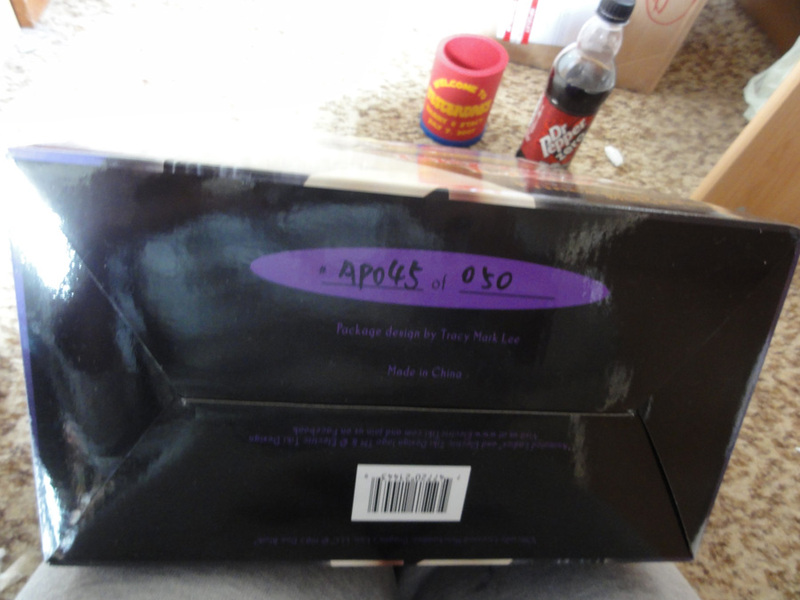 Caution, the ebay version is the 'normal' version of the statue, not the ARTIST PROOF edition limited to 50 ex. worldwide. As far as I know, there's no other option than the official Electric Tiki website link to order the special edition, and yes... only for US residents. Just ask someone from US who can order it for you. Hello. 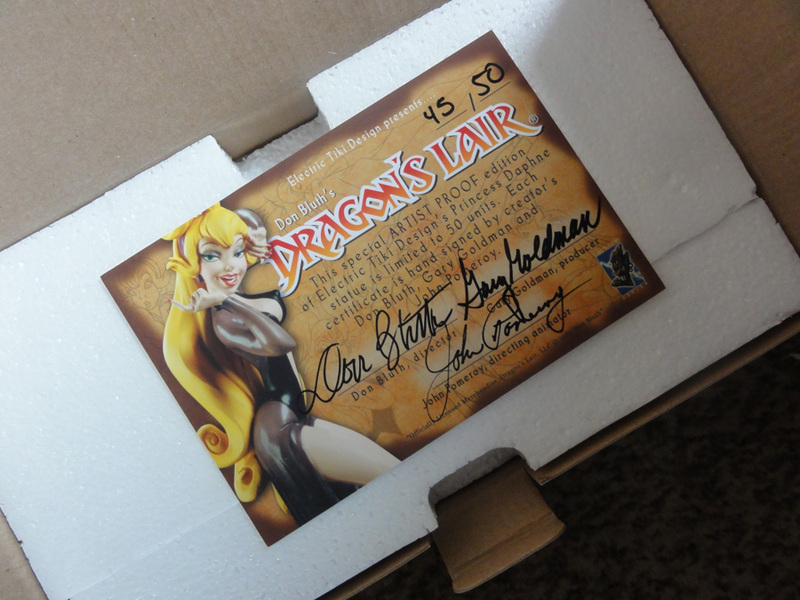 I am a French Dragon’s Lair (and Don Bluth’s work) fan who watches closely your creations. I wanted to order on your shop the Daphne statue (exclusively signed on your shop) but I realized that this item is only available to US residents. Could you make an exception for me and accept that I order it to you, even if the delivery is in France? 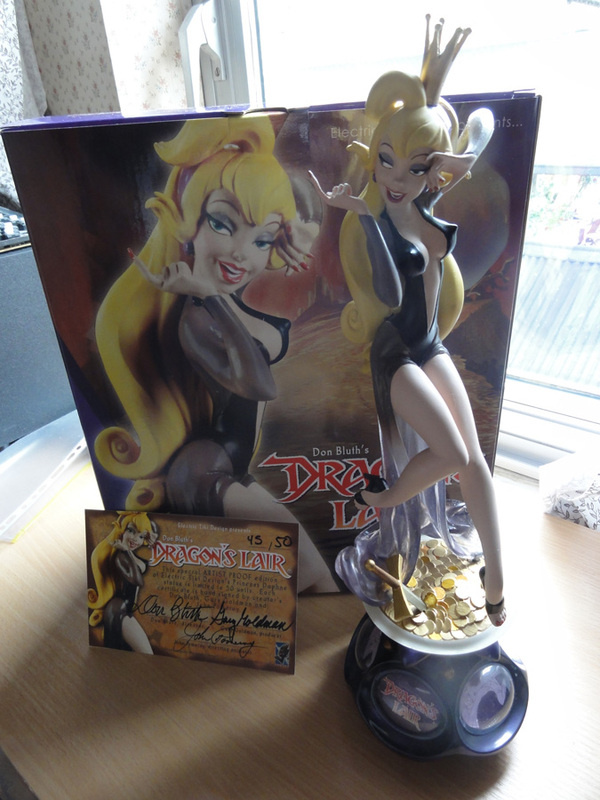 I dream about this statue for my collection, it will accompany perfectly my original posters of Dragon’s Lair & Space Ace signed by Gary Goldman and Don Bluth and other stuffs (videogames, laserdiscs, etc.). I shall eternally be grateful to you if you accepted, pleeeeeeease. 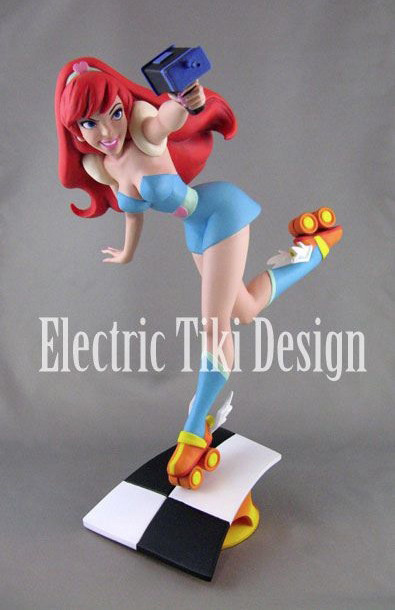 I also intend to buy you later Kimberly from Space Ace videogame (I hope one day you’ll create a Dirk statue). Thanks for your enthusiasm. 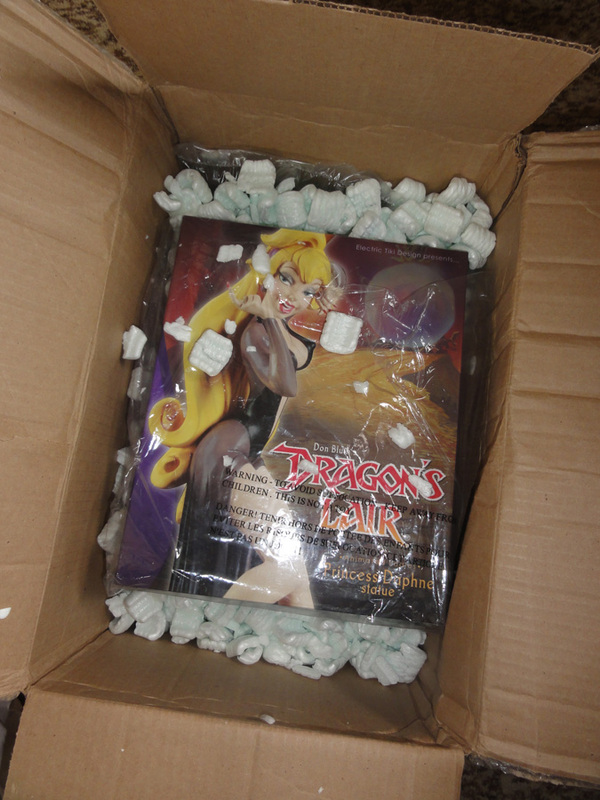 Unfortunately licensing restrictions do not permit us to sell outside of the US. Making exceptions could cause us to get our license revoked or worse. I think it's over for me. Thank you for the hint, I will think about it. It is not easy to trust in a stranger for a lot of money. But thank you for the advice. Tu peux toujours essayer une société de "forwarding" a laquelle tu fais envoyer ton achat et qui te l'envoie en Europe. Pas de conseil a donner, je n'ai jamais eu recours a ce plan. Par contre si tu utilise ce systeme, donne nous tes commentaires ! You can try a Forwarding company that receives your object in the us and then ship it to your Eu adress..
Let us have feedback if you do try ! Some current progress on the Kimberly statue via Chuck Williams. Now with cool retro "winged" roller skates! I'm not angry about the (fortunately only) 10€ of extra fee, I'm just afraid about something broken... it's so fragile! 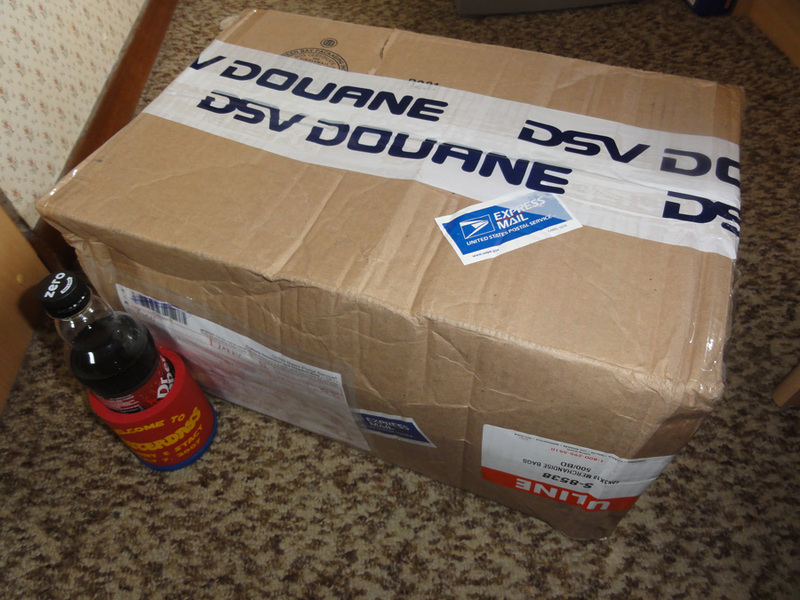 Once again, many thanks to Barry 'Sonic 1992' who shipped 'her' from US to Belgium (because it's so fragile, TIKI didn't want to ship outside US...) ... you rock mate!